Nutrition and dietetics is a second career for me. My passion for science, technology and complex problem solving originally led me to a BS in Chemical Engineering from Michigan Technological University in 1981. In my first career, I established myself as a “change agent” and skilled project manager because I loved working with diverse people and could break down projects into clear small steps and communicate the process persuasively. But my heart was not there. I have been an avid gardener and passionate about health and nutrition all my life. After running a licensed home day care when my children were small and helping my husband start up a business, I caught the entrepreneur bug. I also had health crises with myself and my two children that nutrition was central to resolving. I decided I wanted to do a private practice related to these passions and went back to school. 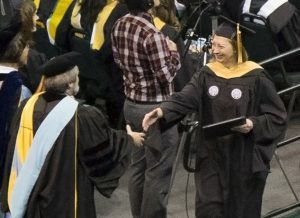 I finished my second BS in the Coordinated Program in Dietetics at Eastern Michigan University, became a Registered Dietitian in 2009 and completed a Masters of Human Nutrition, also from EMU in 2014 (4.0 GPA throughout). I presented posters at both the undergraduate and graduate research fairs. The first of two review papers was published in a peer reviewed journal in July 2015 (http://www.ncbi.nlm.nih.gov/pmc/articles/PMC4512899/). I am editing the second paper for publication on the role of oxidative stress in the pathophysiology of Polycystic Ovary Syndrome. I work part time at Huron Woods, consulting in long term care specializing in Alzheimer’s and dementia and started up a private practice as a nutrition consultant in 2013 doing the occasional speaking or consulting job. I also completed the certificate of training (2009) and advanced certificate in adult weight management (2013) from the Commission on Dietetic Registration, the credentialing arm of the Academy of Nutrition and Dietetics. I had a huge epiphany in the fall of 2011 when I attended the Institute for Functional Medicine’s (https://www.functionalmedicine.org/) Functional Nutrition Course. I heard doctors say, “we need to put nutrition and food first” and “the nutrition professional is a valuable partner in helping patients with chronic illnesses”. This medical model is science-based and logical. I thought “this is what I have been searching for!” I have been a member of IFM since. 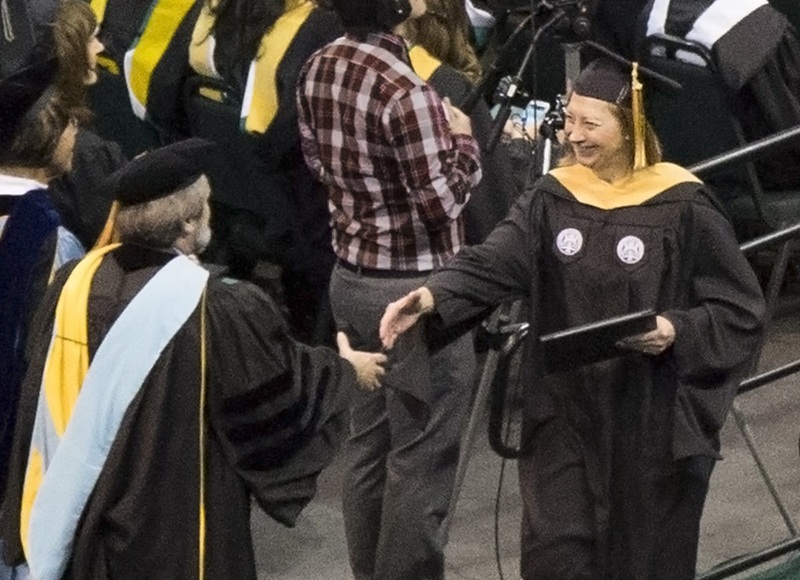 My focus has been on using my master’s degree to dig deep into the biochemistry of chronic illness and how food and nutrients alter it and learning Functional Medicine Medical Nutrition and Lifestyle Therapy. I have taken IFM’s five day AFMCP functional medicine immersion course and five of the 6 advanced practice modules so far. I did a 6 month mentoring program with Susan Allen of Next Level Functional Nutrition, a pioneer and nationally renowned RD who has practiced Functional Medicine Medical Nutrition Therapy for over 20 years. Through Susan, I have also taken the FM culinary immersion course with Amanda Archibald of Field to Plate to learn how to translate the FM food advice into the flavor and food. I completed my Certified Leap Therapist (CLT) certification in testing for and managing adverse food reactions in 2014. It is clear to me that Functional Medicine is a lifelong learning journey but I have the many resources afforded me by IFM, the Dietitians in Integrative and Functional Medicine and the many generous colleagues and associates that continue to mentor and provide valuable tools and insight.